Race: The Power of An Illusion is an educational documentary produced by California Newsreel, a non-profit American social justice film production company, that questions “very idea of race as biology”. Power of An Illusion is a three part documentary consisting of episodes; The Difference Between Us, The Story We Tell and The House We Live In. ‘’The Difference Between Us”: challenges the notion that human beings can be generally assigned into three or four categories based on perceived physical traits due to “genetic or biological” differences. “The Story We Tell”: seeks to bring forth the root cause of creation “concept of race” and how 19th century science have helped maintain the differential perception and even justify social inequality as something rooted in nature and therefore acceptable. 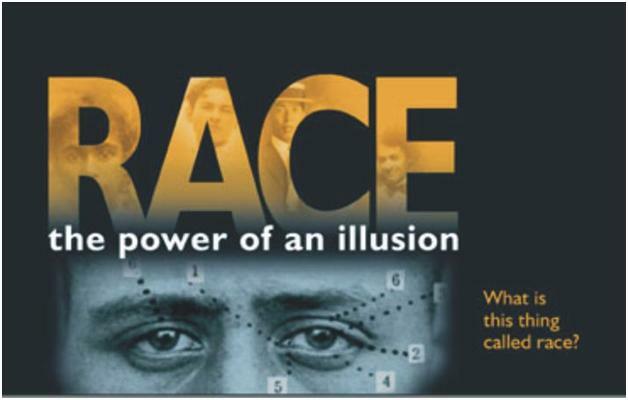 “Just because race doesn’t exist in biology doesn’t mean it isn’t very real, helping shape life chances and opportunities.” (newsreel.org).To access the documentary visit http://newsreel.org/video/RACE-THE-POWER-OF-AN-ILLUSION. The documentary can also be found on youtube via http://www.youtube.com/watch?v=bCR7vSD2Ohw.